The beautiful Faye Tozer-Smith has been spotted this weekend in her Toolallys. We loved seeing Faye compete on Strictly Come Dancing at the end of last year and were thrilled to learn she was a Toolally fan! Faye was wearing our Classic Crescent Hoops in chic black paired with an on-trend snake print shirt. Here are some of our favourite snaps of Faye rocking her Toolally jewels so you can steal her style. 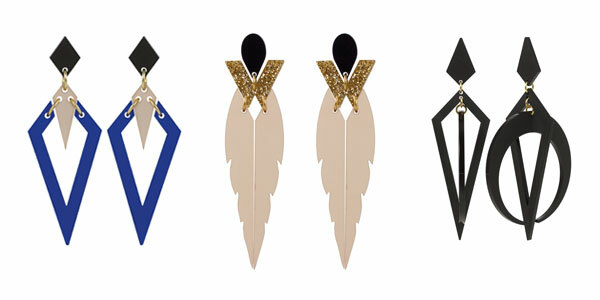 From left to right: the Arrowheads (multiple colourways available), the Kingfishers and the Classic Crescent Hoops.